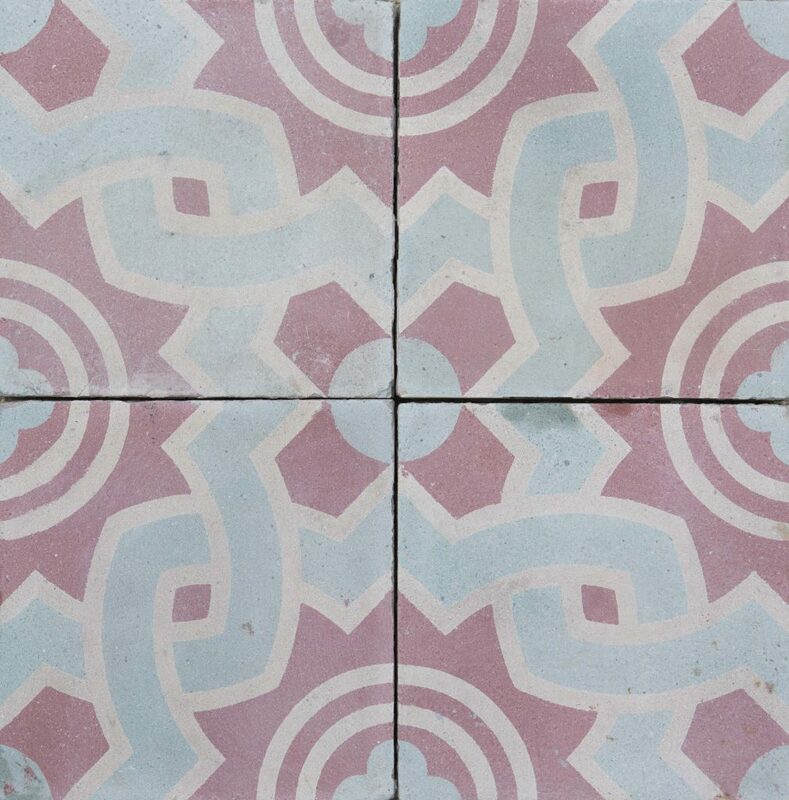 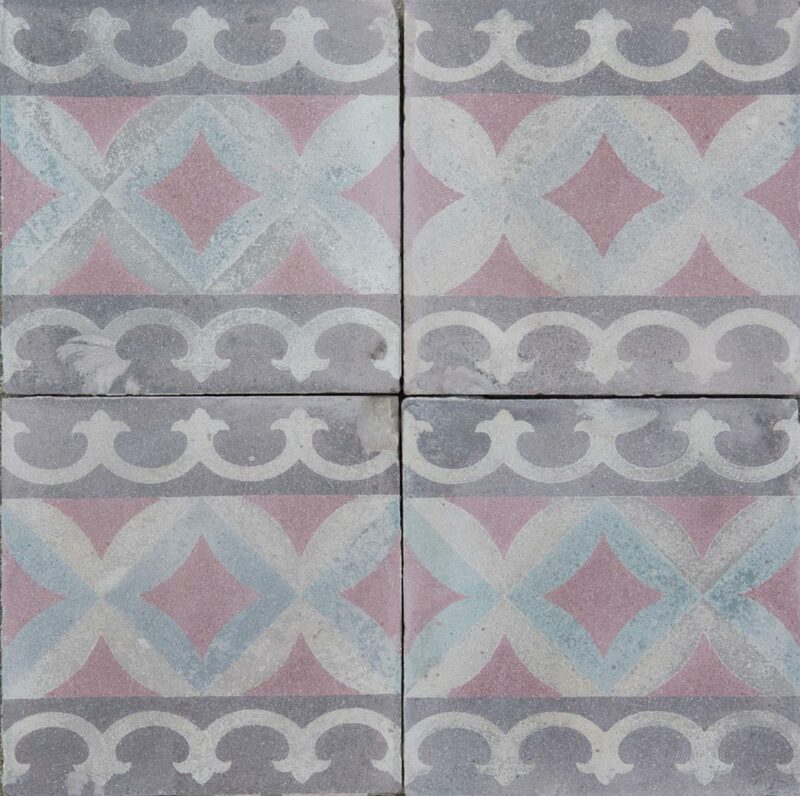 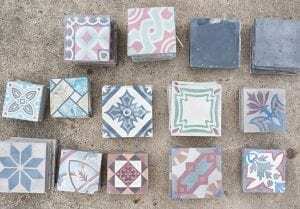 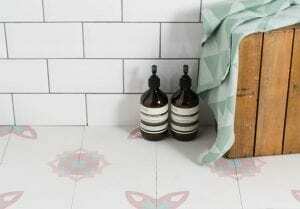 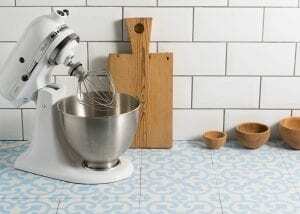 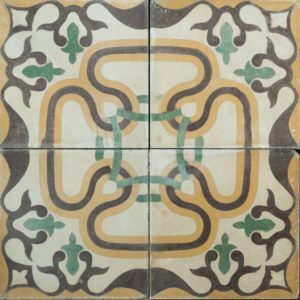 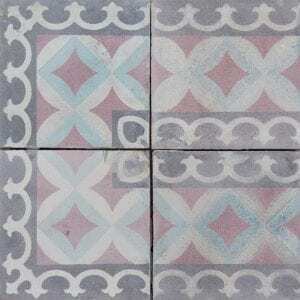 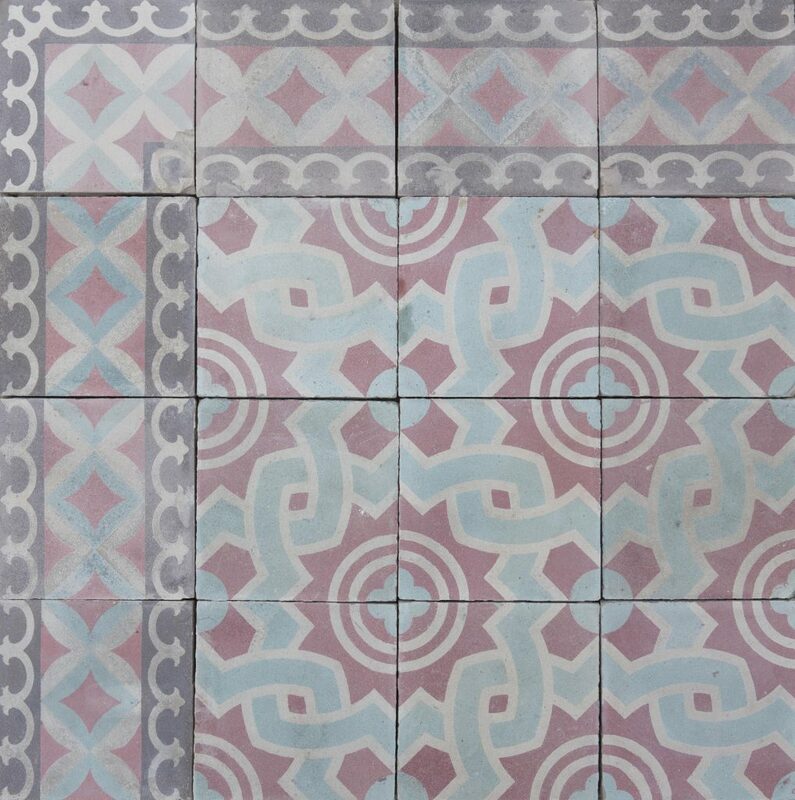 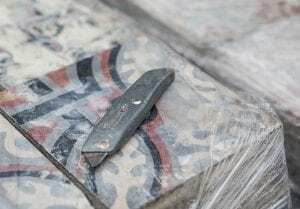 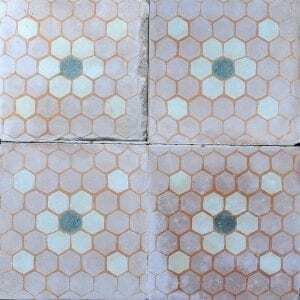 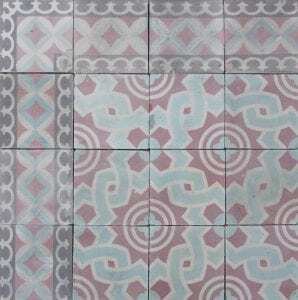 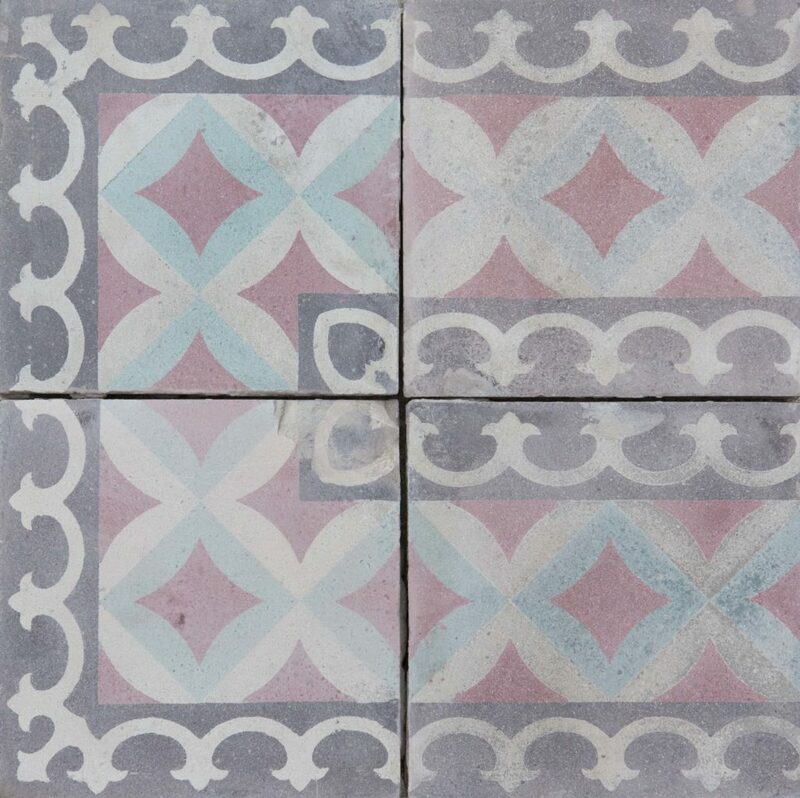 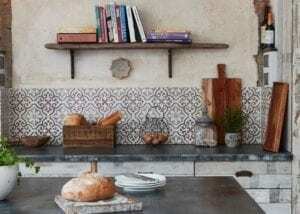 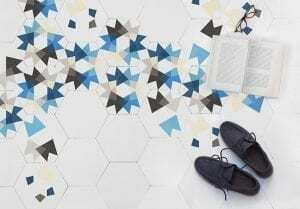 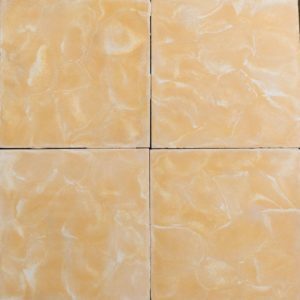 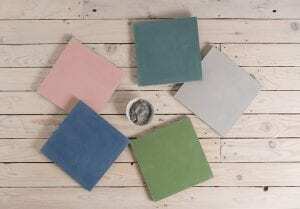 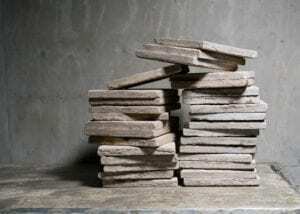 Cement, encaustic tile reclaimed from an old country property in France. 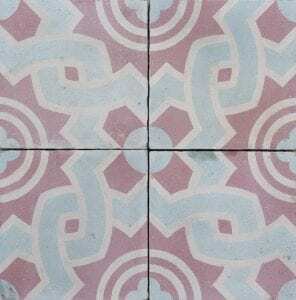 Beautiful colour combination or pinky red and green. 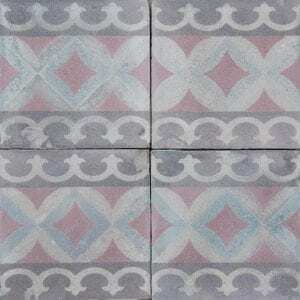 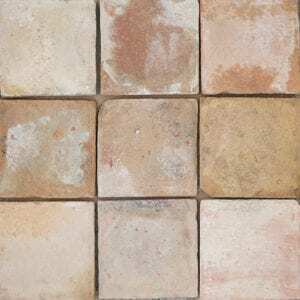 78 border tiles and 8 corners available.